Applicables 4" x 4" Magnet. Red with white outer lines and white "R/Rose-Hulman/Institute of Technology". Adheres simply to most metal and glass surfaces. Applicables white magnet. Approximately 5.75" x 5.75". 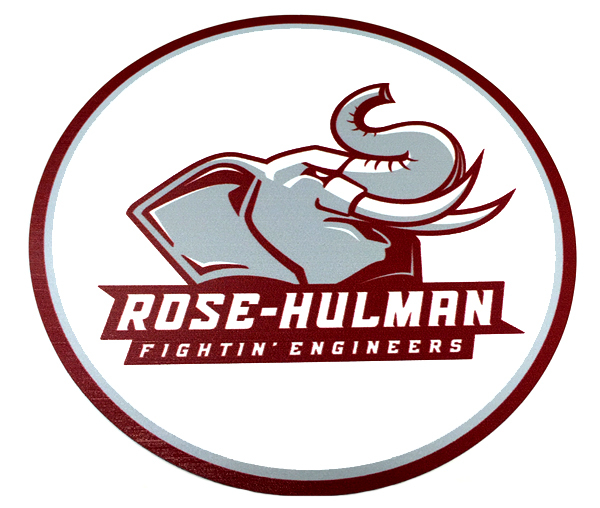 "Rosie the Elephant/Rose-Hulman/Fightin' Engineers" in white, red, and gray. Applicables 4" x 4" Magnet. 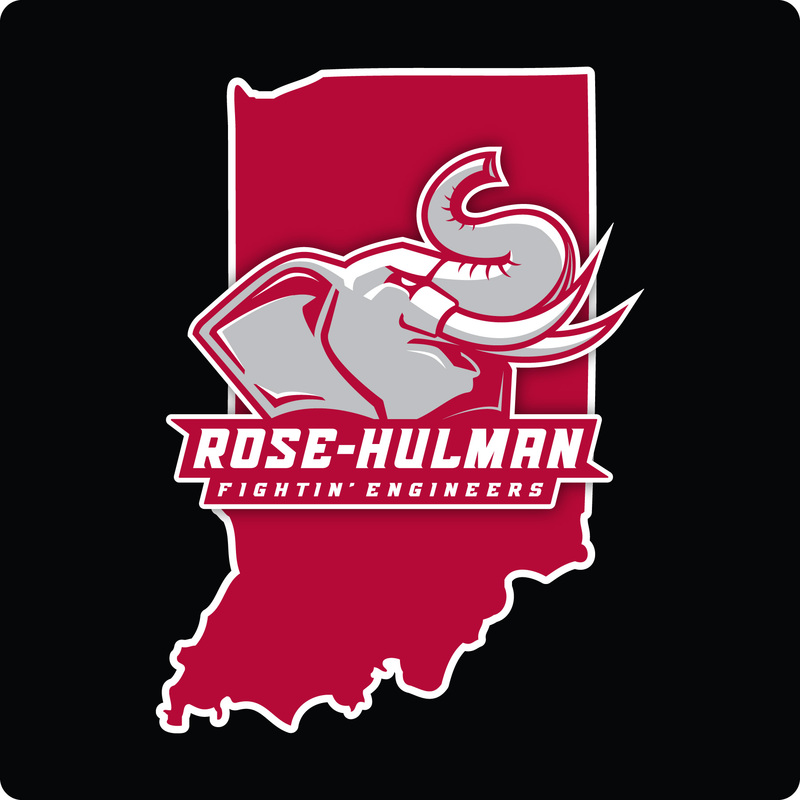 White with red outer lines and red"R/Rose-Hulman/Institute of Technology". Adheres simply to most metal and glass surfaces. Brass Reminders decal. "R" over "Rose-Hulman" over "Institute of Technology" over "39* 29* 2* North, 87* 18* 59* West" over "Elevation 178M". Measures approximately 6"W x 3.5"H. Black background is to show detail. Brass Reminders decal. "Rose-Hulman" over "Institute of Technology" over "Reinventing the Future". Measures approximately 8"W x 2.5"H. Black background to show detail. 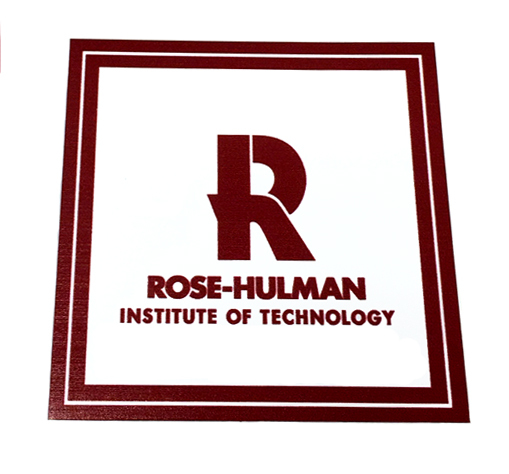 "R" over "Rose-Hulman" over "Institute of Technology" over "Alumni". Measures approximately 2.5" x 2". Black background to show detail. Indiana decal covered by Rosie over "Rose-Hulman" over "Fightin' Engineers". Measures approximately 2.5" x 2". Black background to show detail. Black and white Rosie decal. 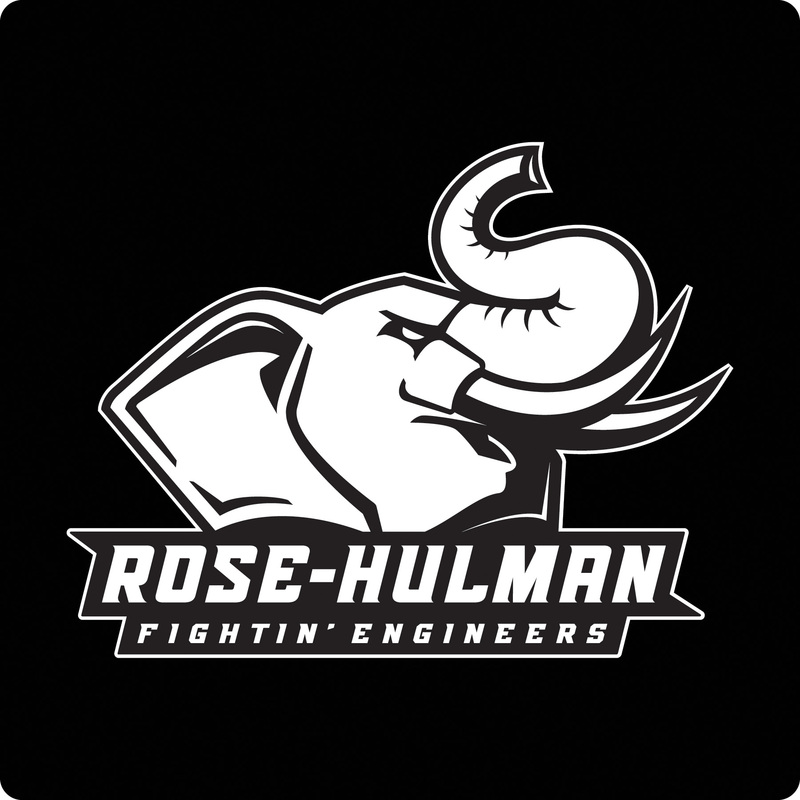 Rosie over "Rose-Hulman" over "Fightin' Engineers". Measures approximately 2.5" x 2". Black background to show detail.